Is virtual reality our next hard drug, a substance even more addictive than heroin? Or is it more like psychedelics, which can be used for a recreational “trip” but also offer a cure for phobias, addiction, and PTSD? What about academic research into virtual reality and drugs? Can use of chemical substances enhance the virtual reality experience of immersion, presence or suspension of disbelief? Which substances are useful to improve the VR experience? What are the potential benefits and dangers of “chemically enhanced” virtual reality? Is Virtual Reality a sort of psychedelic transformational experience that we can harness for good? Now that virtual reality is back, the VPL patents are expiring, and weed is legal in Colorado and Washington, it’s time to connect the dots. Back in the early 1990s, virtual reality technology was the next big thing, with its leading proponent being neo-luddite Jaron Lanier. Back in the day, Jaron was a technophile shaman huckster promoting the idea of virtual reality as an end in itself that offered the obviously psychedelic ideas of visual programming and post symbolic communication. Jaron’s notable dreadlocked appearance helped to promote the idea of VR and the shamanic connections but also fueled some of its detractors. And Jaron often looked like he was high even if he really wasn’t. In the early days Virtual Reality required a high end graphics computer from Silicon Graphics known simply as SGI by those in the know. The development of such machines was a big business well before Jaron’s famous Wall Street Journal appearance with the largest customers being the U.S. military and commercial aircraft flight simulator manufacturers; a field collectively known as visual simulation. In the early 1990s I had been working in the area of integrating artificial intelligence into an interactive desktop flight simulation system, an interactive analytical tool for evaluating aircraft and sub-system concepts before they were built or even designed. Dating back to the mid-eighties, this work included realistic physical models, a full 3D world simulation and integrated artificial intelligence toolkit enabling rule based and case based reasoning. It was a short trip to virtual reality. Our VR work included one of the earliest examples of real time 3D data visualization, a system that displayed financial data delivered via an encoded cable TV signal and then displayed the information as glyphs or 3D icons in a fully navigable 3D space. We also developed an early concept for a highly immersive unencumbered full body virtual reality system for the US Army, an idea that today is close to reality. But by 1994, the virtual reality business was already looking tenuous at best. A number of high profile acquisitions had led nowhere and the technology was mostly seen as a disappointment by both sophisticated users and consumers. There was no killer app for VR. Even gaming looked bad. Nintendo’s infamous Virtual Boy was a flop and Sega cancelled their project to develop a consumer virtual reality system reportedly due to health concerns, but perhaps also because the technology just wasn’t ready for consumers. Applications in medical telesurgery and vehicle design were real, but even at the high end the technology was simply too crude and expensive to garner a larger market. It was around this time that Bob Jacobson, a well known former researcher from the University of Washington’s HIT Lab, and manager of the sci.virtual-worlds USENET group, gathered a “who’s who” list of people from the early virtual reality industry. We were to meet at the Stanford Research Institute (SRI) a well known “think tank” in California to discuss the future of the VR industry or perhaps its probable demise in a “VR bust”. Jerry Garcia of the Grateful Dead made the famous comparison, “They outlawed LSD …It’ll be interesting to see what they do with this.” And the Wall Street Journal article with Jaron Lanier’s picture in it was entitled “Computer simulations one day may provide surreal experiences: A kind of electronic LSD?” It was seemingly obvious, VR was the new LSD. And if it was, wasn’t this stuff dangerous? 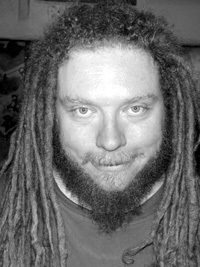 Jaron Lanier disavowed the comparison of VR to LSD at the time, but he himself openly compared virtual reality to dreams and also proposed it as a tool for changing your identity on demand. It seems pretty psychedelic when he describes it in the video below. Well known proponents of hallucinogenics and the psychedelic experience Timothy Leary and Terence McKenna both connected virtual reality technology to their ideas. Amazingly industrial design and CAD firm Autodesk decided to include Leary in a promotional video Cyberspace – The New Explorers which introduced their early developments in the area of virtual reality tools and related applications. Leary appears around the 5:30 mark in the video and he directly connects the idea of the psychedelic shamanic experience to virtual reality and goes on to state that VR is the medium that for the first time in human history allows these sorts of experiences to be expressed and shared as media objects. The notion culminated in Leary’s Mind Mirror project. Terence McKenna famously connected the psychedelic experience and virtual reality technology in his book The Archaic Revival as well as in a number of interviews and talks. Perhaps his most influential talk on the subject was entitled Ordinary Language, Visual Language, and Virtual Reality where he outlined the idea of direct communication of ideas through virtual environments, and also the connection of VR to the DMT experience and how VR relates to color changing octopi. This is essentially an identical notion to Jaron’s post symbolic communication, and while Jaron denied the LSD connection, he also got into the cephalopod trip. I’m not aware of Lanier and McKenna ever appearing together, but they clearly shared some similar ideas and both talked about them openly, at least back before Lanier became an anti-technology neo-luddite. Another recent revival of the idea that VR = LSD seeks to reproduce schizophrenia or the LSD experience explicitly by using virtual reality technologies. That is, researchers have created a simulated virtual “trip”. Of course VR technology can be used to introduce a wide variety of visual effects that appear as reality distortions as well as creating the more realistic simulation environments and virtual worlds used in things like military training systems. So while any given VR system might not produce a hallucinogenic state, VR != LSD, it seems that a VR can be developed which does produce a reasonable facsimile of an LSD trip. A simulated trip won’t get you high though, but it will give you an idea of what it is like to be tripping when in fact you aren’t. In the early days this was all hypothetical, no one had built a simulated LSD experience, and the existing VR systems while a bit weird and cartoon-like were psychedelic only in a vague artistic or aesthetic sense. The “LSD scare”, such as it was, consisted only of the fact that a few people in the media couldn’t get past the idea that virtual reality was the new LSD and kept reporting it over and over again. No one actually became insane from VR or tried to jump out of a window imagining they could fly. But the LSD = VR meme was so strong that it was reported regardless of what anyone that had actually tried the technology said. And the story persisted even after reporters spreading it tried the technology themselves and were disappointed. The problem was amplified by visionary but technically unrealistic and negative images portrayed in the media especially in films such as the Lawnmower Man and later Oliver Stone’s ultra-paranoid television miniseries Wild Palms. But the real issue was simply that early virtual worlds did not look very good and the level of interactivity was also low. Some early VR systems, for example, didn’t even include object collision detection. Polygon counts and frame rates were incredibly low by today’s standards. Because at the time we were doing “serious” applications in industry and finance, I often was asked to speak out about this confusion between VR and drugs. I would discount the suggestion of course. Our work concerned representations of numeric information presented visually in simulated 3D spaces and we developed systems that allowed users to visualize and navigate 22 data dimensions simultaneously. Nothing psychedelic about directly experiencing an abstract 22-d space is there? Hmm. Back at the SRI meeting everyone was worried about the fact that Sun Microsystems had acquired the VPL patent portfolio and might put the rest of us out of business. But it never happened. I guess Oracle now owns these patents for what they’re worth. Eventually, the LSD Scare came up but it wasn’t a hot topic in a room full of serious folks like engineers and business people. But in preparing for the meeting I had realized something else entirely — the confusion with LSD was the best thing that ever happened to us and we had squandered it! It didn’t go over too well as I recall. Virtual reality is and always was all about drugs and the future of drugs. And the design of various virtual reality protocols and languages was deeply influenced by drugs and in particular the psychedelic experience. Many of the people involved in the early days were psychonauts, stoners, or former stoners at least. It is not a myth. Ok, maybe it wasn’t until 2007 when users of an online virtual world could take virtual drugs and get “virtually high”, but keen observers will note that Pac Man ate “pills” and Mario had those mushrooms. It might seem that early developers of games and virtual reality systems were all high if you look at this sort of thing, and that’s because a lot of them actually were. Early Silicon Valley software culture was fueled by psychedelics as much as it was by venture capital. 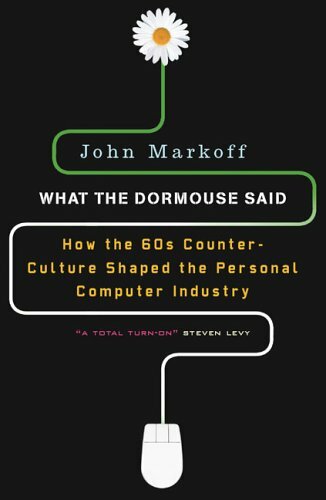 The well known books What the Dormouse Said by John Markoff and Cyberia by Doug Rushkoff document the deep connections between the psychedelic counterculture on the one hand and the Silicon Valley software and computer industry on the other. Rushkoff’s book in particular explores this later period, the mid-1990s “fusion of rave psychedelia, chaos theory and early computer networks”, where virtual reality took center stage for a brief moment as the ultimate future vision of computer interfaces. I won’t repeat the tales here, but interested readers may want to review these books. One of the fathers of the Virtual Reality Modeling Language (VRML) Mark Pesce has openly discussed his experimentation with LSD and the origins of the VRML. Mark: They’ve certainly been facilitators or catalysts for that. The most striking example is all the cyberspace protocols that came to me. I mean “wham,” it came to me like that, and I just saw them. I got the big picture, but the big picture said, “Okay, well you know roughly how to make it work. Now you have to go in and do the detail, right?” I spent three years doing that detail work, and out of that detail work came VMRL, and some stuff which you’ll probably still see in a couple of years. So in that case it was very direct… I’ve done a bunch of research work on the ethics and the effects of virtual environments. And that also was catalyzed specifically in a psychedelic experience. You know, it was like “snap.” It’s a moment of clarity. In particular with all this stuff that’s become VRML, and all that. I didn’t get all the details. I got the chunks. And part of that is, you know, I get the chunks, and it’s software. Well, I’ll just go work on it. You know. And I’ll turn it up. And I’ll sit and I’ll think on it, and think on it, and think on it, talk it out with other people. I mean after I did that, I actually talked it out with other people while we were tripping. And this is a case of specific usage. I’d go back into the space and take a look at specific parts of it again. And, the funny thing is I’d be very methodical and rational — which is not my normal mode of experience. Normally I’m just “experiential.” But in these cases I was very methodical. MAPS: While you were tripping? Mark: Yes! And I had to go back to the person I was working with, who was my partner in the endeavor when we were doing it. He understood that, and came right into the space with me, and we were methodical. We were giggly and all that stuff, but we were methodical about it. And so we were able to really say, “Okay, well here’s this block right here. Okay, let’s take that block and go from one side of the block to the other side of the block.” And we did. We did this on a number of occasions over about a month period. And managed to take everything that I had gotten and really get it out. Ongoing research at Stanford seemingly confirms the application of low dose psychedelics to problem solving, so this idea is not really that far out of the mainstream. By the mid-1990s this connection was openly expressed in publications such as Mondo 2000 and WIRED as part of a growing “cyberdelic” movement. This outgrowth of cyberpunk combined the novel information, communication, and graphics technologies of the computer revolution with the counter culture psychedelic experience and house music which together produced — cheesy rave visuals. Seriously though, some interesting art and technology was produced. However this burgeoning movement culminated in some rather ham fisted attempts to co-opt and commercialize everything vaguely cyberdelic or rave, which naturally caused it all to fail miserably and then it disappeared forever. Certainly not everyone was getting high back in the early days, but the notion that VR was fun when you were stoned wasn’t lost on early researchers and developers who largely knew what they were doing and had some hands on experience with recreational drugs. The LSD Scare and the illegal status of the relevant substances kept people quiet. 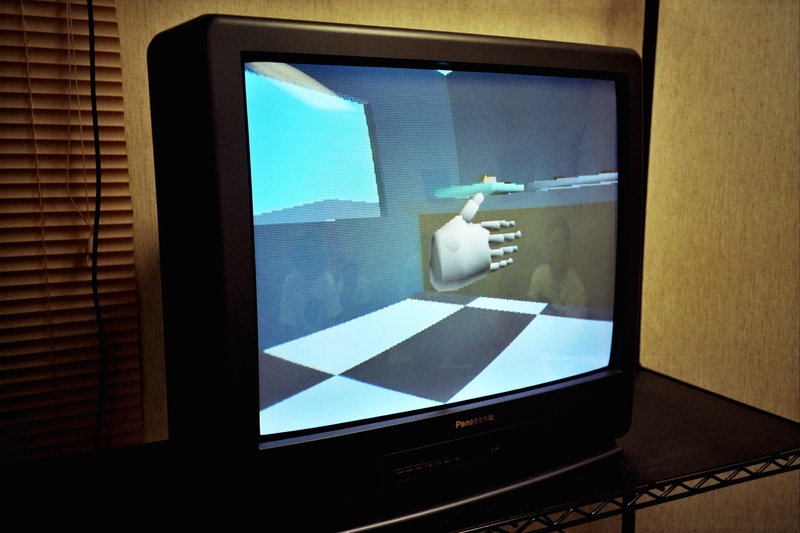 But nevertheless many early researchers became interested in how drugs might improve or inform the experience of virtual environments directly. Right from the beginning there was interest in the use of pharmaceuticals to enhance or improve virtual reality experiences. But publications documenting work in this sub-field are quite rare, limited or non-existent. And back in the early 90s it was the very early days of the web and Google Scholar hadn’t been invented yet. So as a researcher you were left to your own knowledge and long trips to a technical library. Perhaps the most notable and undesirable effect of all modern simulator and virtual reality experiences is the very unpleasant experience of nausea known as simulator sickness. This effect regularly plagues some people and was known before virtual reality became a thing; the effect was well known to designers of things like flight and vehicle simulators. Early experiments with virtual reality systems indicated that a small percentage of people were highly susceptible to these effects and therefore could not comfortably employ virtual reality systems at all. This was problematic for many applications including for example VR location based entertainment systems. Users were likely to yack all over the arcade and small differences in system configurations and world design seemingly would cause certain users to become nauseous even after very short exposures. Some experimentation demonstrated that it was possible to reliably cause disorientation and nausea at least for susceptible people with specific arrangements of equipment and software, but getting rid of the effect proved more difficult. However, less well known, is that widely available anti-motion sickness drugs work well in practice to reduce the simulator sickness associated with VR. If you are one of the people that suffers regularly from simulator sickness, you might be able to overcome it through this approach. First follow the instructions on the package and avoid consumption of other substances that might increase disorientation, e.g. alcohol, before using VR. Limit your time “in world” initially and exit before you become disoriented or nauseous. Repeat the process and gradually extend your time in world always exiting before you become ill. Eventually long periods in world become possible and this works for almost everyone that gets simulator sickness initially. You just have to stick it out. In addition to more widely available over the counter medications, another widely available substance, cannabis, was also well known to be effective in reducing simulator sickness. This is more recently reported anecdotally and the effect is also documented in the relevant medical literature. This effect was also known to early VR researchers. And this opened the door to further experimentation with cannabis because even while weed was illegal it wasn’t very hard to get in Northern California in the 1990s. Beyond simply reducing simulator sickness, early researchers wondered if psychoactive chemicals could enhance the effectiveness of the virtual reality experience by increasing the sensations of presence and immersion, or by potentially enhancing the user’s suspension of disbelief. Could the use of psychoactive substances make virtual reality feel more “real”? Yes, you really should get stoned before using VR. Substances that enhance spatial perception or alter perception more generally may increase or decrease the experienced levels of immersion and presence in the virtual world. The effect can vary depending on substance and dosage. There is not a great deal of work published here, but early experimenters knew that cannabis and other substances used to counter motion sickness could also potentially impact the perceived feeling of presence in VR. This isn’t unrelated to the notion that these substances can also enhance music perception and are widely known to increase enjoyment of theatrical presentations, films, etc. Anecdotally users report enhanced visual perception, more vivid, more “real” experiences, greater immersion in a narrative, and so on and similar effects were to be expected in VR. A 1970s study suggests that actual visual perception is impaired by cannabis consumption, and the ability to distinguish colors is apparently reduced when you are stoned. This seemingly paradoxical effect may however help to explain why cannabis enhances presence and immersion in virtual worlds, because the chemically enhanced user perceives that the display is vivid and high fidelity although in fact they simply have a reduced ability to detect the flaws and imperfections. Further research is required to demonstrate this effect and the underlying mechanism. The perception of enhanced immersion under the influence of cannabis may be in part due to another negative effect, specifically that it seems to impair the ability to navigate spatially. This effect may help to contribute to a feeling of being “lost” in a large space or place that has to be explored to be navigated. This seems to be the case even when the virtual environment is relatively simple. The effect lends itself to creating the additional sensation that the virtual space is larger than it appears in the display. But no one has looked into how the effect might used to enhance virtual reality experiences or design of VR systems. Cannabis also acts to inhibit “top down” signals that cause an effect known as binocular depth inversion. “Binocular depth inversion represents an illusion of visual perception, serving to invert the perception of implausible hollow objects, e.g. a hollow face into a normal face. Such inversion occurs frequently, especially when objects with a high degree of familiarity (e.g. photographs of faces) are displayed. Under normal conditions, cognitive factors apparently override the binocular disparity cues of stereopsis.” By inhibiting these signals cannabis may increase the effectiveness of the stereoscopic illusion employed in a conventional VR head mounted display. Suspension of disbelief is another important factor to consider in evaluating virtual reality systems. A system which is perceived as more “real” is desirable for certain applications and is considered to be preferable or of higher quality in general, and this can be crucial for example in certain training applications where one wants to train for decision making under stress. If the user of the VR system does not suspend disbelief they won’t experience real world levels of stress and this may result in them behaving unrealistically or acting beyond realistic human abilities. Substances which enhance suggestibility can be employed to improve virtual reality experiences as users will be more open to the suggestion that the experience is something that is “really happening” and therefore may behave more realistically. Cues of various sorts can then be employed to make the suggestion that the experience is real. In fact research suggests that not much is required because simple movement through a navigable 3D stereoscopic environment may be enough to trigger this response in the brain that the virtual world is real. Cannabis interestingly also works as an effective agent for improving suspension of disbelief regardless of graphics fidelity. A recent study shows that cannabis enhances suggestibility and this effect can be used to enhance suspension of disbelief when appropriate “reality” cues are present. This application of cannabis and more specifically cannabis indica isn’t entirely novel and was known to researchers in the field of hypnosis including so called “father of modern hypnosis” James Braid and others. distinct and brilliant than the spontaneous ones." Another effect may be due to the inhibition of short term memory. Users of virtual reality systems retain sensory memories before and after immersion, allowing the user to easily tell the difference between the experience or feel of “real” reality and virtual reality. Anecdotal experiments suggest that this ability is reduced with cannabis consumption and the difference between the feeling of reality and the virtual world is seemingly reduced. It is of course well known that cannabis interferes with the formation of short term memories. However the effect isn’t really strong enough to make someone forget they are in a virtual world generally. Further formal experimentation needs to be performed to document and confirm this effect and its mechanism. Beyond cannabis, early experiences with psychedelics and virtual reality yielded mixed results. The combined effects tended to be disorienting and uncontrollable such that the user perceived something entirely different from what was presented via the HMD. Even at low doses, some psychedelics enhance visual acuity and this effect can cause display technology to be perceived as clunky with images appearing less realistic or lower fidelity. The appearance of the 1990s era low fidelity graphics being even more cartoon-like wasn’t an improvement. More importantly, the need to remain stationary, with restricting cables tethering the user to a machine while wearing an uncomfortable headset was considered intolerable especially during the peak experience. So while Mark Pesce reports successful development and use of early VR interfaces while under the influence of LSD, others that tried this had difficulty. They simply took the HMD off and went out into the woods. Legalization of cannabis in two states and the opening of the door to medical applications of psychedelics along with the availability of low cost virtual reality equipment promises a renaissance in DIY research. The combination of psychoactive substances and particularly cannabis with VR seemingly is a match made in heaven. Cannabis reduces simulation sickness and enhances many aspects of the VR experience. It works. Beyond recreational uses of virtual reality technology, these observations offer some novel ideas for advanced human computer interfaces. Consider an interface specifically designed for use while under the influence of certain psychoactive substances. Stoner Interface Design is a new area of UI/UX research where the interface is especially designed for the cognitive and sensory experience of someone that is high. For example, cannabis consumption decreases color differentiation, but the effect is stronger in the blue range. Boundary perception is enhanced. These observations lead to some novel ideas for design and color selection and similar effects can be considered for other substances. However some caution is advised. Virtual reality systems can prime both positive and aggressive thoughts and the effects can be amplified through the use of psychoactive substances. The lack of well documented research also means that risks are not well documented. A substance which led to completely effective suspension of disbelief could also cause users to experience dangerous side effects from events that occur in the virtual world. They would in effect be “real” and potentially psychologically damaging. A virtual battle might really lead someone to develop real PTSD for example. Such experiments should not be entered into lightly or without significant precautions. But the promise outweighs the perils and appropriate research offers us new types of computer interfaces that amplify human abilities of thought and perception in conjunction with other tools such as psychedelics and nootropics. Tripping in the Rift: Is Virtual Reality the Next Drug? Will Virtual Reality ‘Jolting’ Be the Digital Drug of Choice?